The Blackfriar. 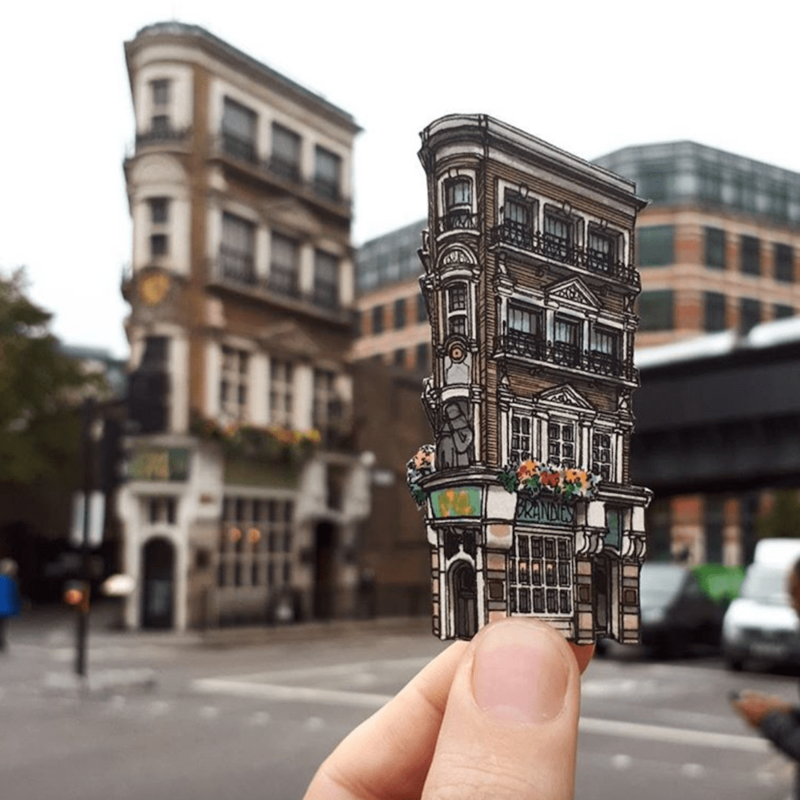 Walking past this cute little central London pub today and I just couldn’t not draw it. The pub was built in 1875 on the site of a Dominican friary. Little happy friars appear everywhere in the pub in sculptures and on the walls. It’s really cute.